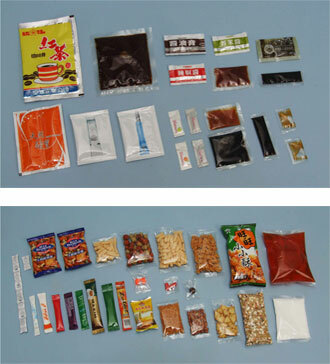 Chinapackaging Equipment Co., Ltd. is what you have been looking for a packaging company, we have the best Automatic Packaging Machine, band sealer manufacturer, food packaging machine made in Taiwan, and Horizontal flow wrapper machine, Automatic Tablet / Capsule Packaging Machine, please name we choose, will not let you down. Packaging requirements on the market, more and more, so we in response to market demand, the development of different Automatic Packaging Machine, of course, the design also continue to progress, to meet different customers' packaging needs, our company's packaging machines were upright horizontal packaging machines and packaging machines two models, you can click on the site at the top of the menu "mechanical packaging" to get more information in detail, the two categories of the packaging machine is also broken down into granules, liquids, intelligent automation. .. And other diverse styles were in response to different shape, weight of goods packaging. Because we have a professional R & D department Automatic Packaging Machine, band sealer manufacturer can make more sophisticated and improved, so the total can be made perfect packaging machinery to customer satisfaction, cost savings of manpower, machinery and equipment, metal products will do the most presents the perfect packaging, more convenient handling, more humane, the largest increase in the operating convenience. Future, Chinapackaging Equipment Co., Ltd. will continue to uphold the concept of business when, and joined the valuable experience acquired over the years, will be the company's Automatic Packaging Machine is getting better, because we believe in continuous innovation breakthroughs, Under the research and development, packaging technology will further enhance and so is not only a loyal units for their own expectations, better able to meet customer demands for strict quality packaging, a win-win situation. Our Phone Number: TEL: + 626-922-0537, can also use E-mail: harry@packstar.com, welcome to your contact.